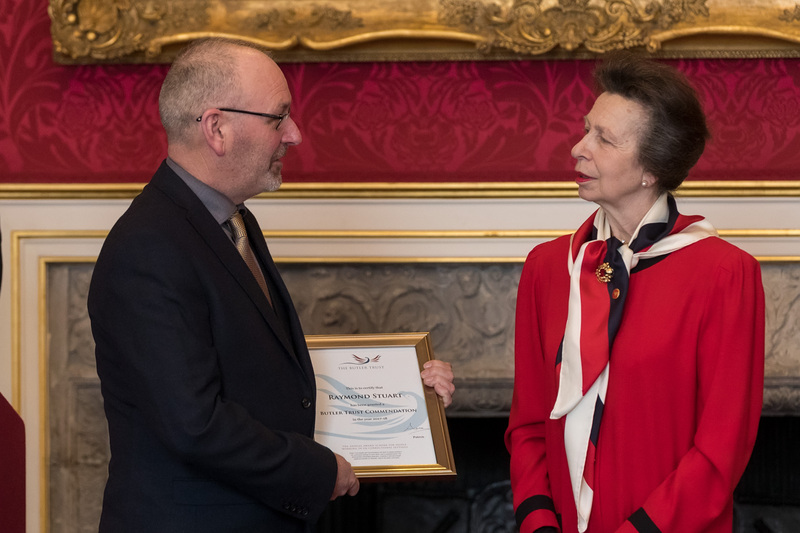 COMMENDEE 2017-18: Ray is a Specialist Bicycle Maintenance Instructor at HMP Kirkham; he is Commended, having been nominated by a prisoner, for his dedication and skill in helping to change the lives of the men in his charge. Ray Stuart is a Specialist Bicycle Maintenance Instructor at HMP Kirkham. Over last five years he has created a remarkable bike workshop. It’s sent some 600 bikes to developing countries in partnership with the Margaret Carey Foundation, trained and qualified dozens of men to industry standards, and developed life-changing work opportunities for some on their release. “Ray would travel from bike-shop to bike-shop where he came up against brick walls when the mention of a life sentence prisoner working in their shop was mentioned. He spent a lot of his own time and put a lot of faith and trust in me and didn’t give up until he found a placement at Halfords. After weeks of looking and finding me the placement, he then spent a lot more of his own time organising and preparing me for the start of this life changing opportunity for me. He made sure I had the correct safety equipment (helmet, lights) and even the right bicycle for me to travel to my workplace at Halfords. Even on one of his days off (Sunday) he organised to ride the route on bicycle with me to show me the best route to take to and from work, not many people would ride 15 miles on their days off just to show them the route, this shows the kind of person Mr Stuart is. As Einstein wrote to his son, “Life is like riding a bicycle. To keep your balance you must keep moving.” Ray’s plans for his workshop – including more complex bikes and new partnerships – suggest he intends to keep on doing just that.